Sri Maju Express is the common name used for the express bus services operate by the Sri Maju Group. 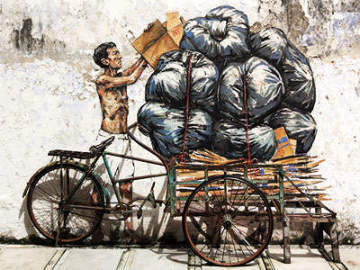 The bus company was founded in the seventies and set up its first office in Ipoh. Now, the fleet has over a hundred buses and branch offices throughout Malaysia. 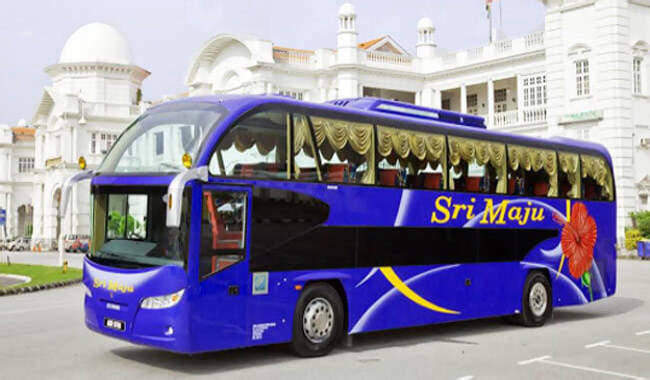 Note: There is another bus company with very similar name, Sri Maju (Kangar). This bus company operates from Kangar, Perlis and is an agent of the Sri Maju Group. 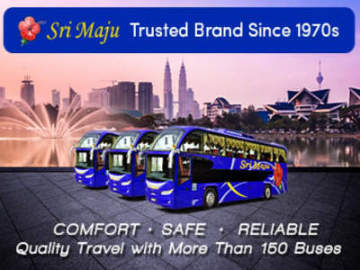 Sri Maju offers comfortable travelling experience providing travelers with much convenience between Singapore and major cities and towns in Malaysia. From Singapore, Sri Maju buses go to Ipoh, Penang, Kuala Lumpur, Genting Highlands, Malacca, Kedah and Hatyai in Thailand. 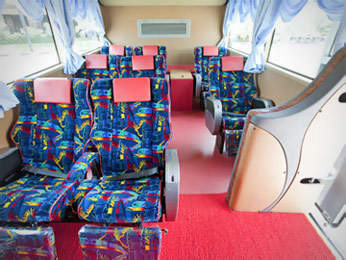 The standard 36-seater and 44-seater buses, with 4 seats in a row, are deployed for inter-city routes, between cities within Malaysia. From Singapore, Sri Maju buses depart at Golden Mile Complex, Beach Road. The MRT stations nearest to Golden Mile Complex are Nicoll Highway(CC5) and Lavender(EW11).